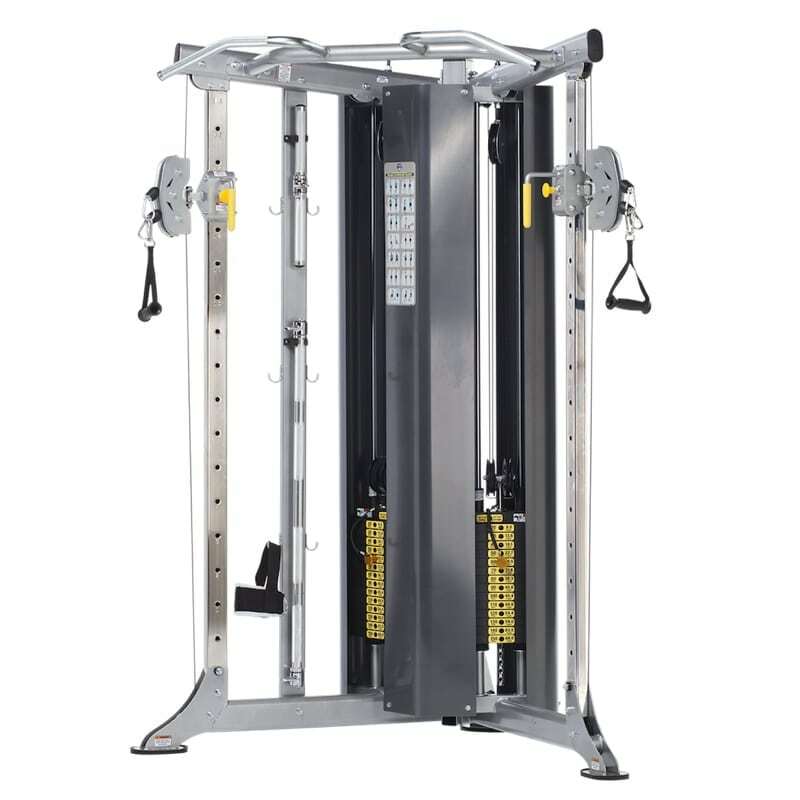 The TuffStuff Evolution Dual Adjustable Pulley System (CDP-300) offers an open frame design with a unique dual resistance ratio and two 150 lbs. steel weight stacks. 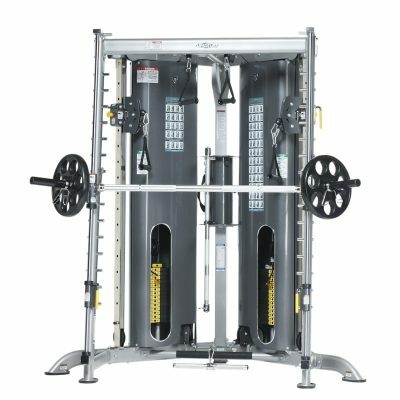 It includes 16-position dual adjustable high/low pulley cable stations, and a welded nickel-plated pull-up bar for wide, narrow, reverse and neutral grip upper body exercises. TuffStuff’s Evolution Series includes the Dual Adjustable Pulley System (CDP-300) which offers a unique dual resistance ratio, single cable hook-up at 1/4 resistance, and dual cable hook-up at 1/2 resistance. The CDP-300’s open frame design supports use of benches, stability balls, balance boards, Bosu trainers and ground based exercises. Compact, space saving patented corner design to fit in any facility size. 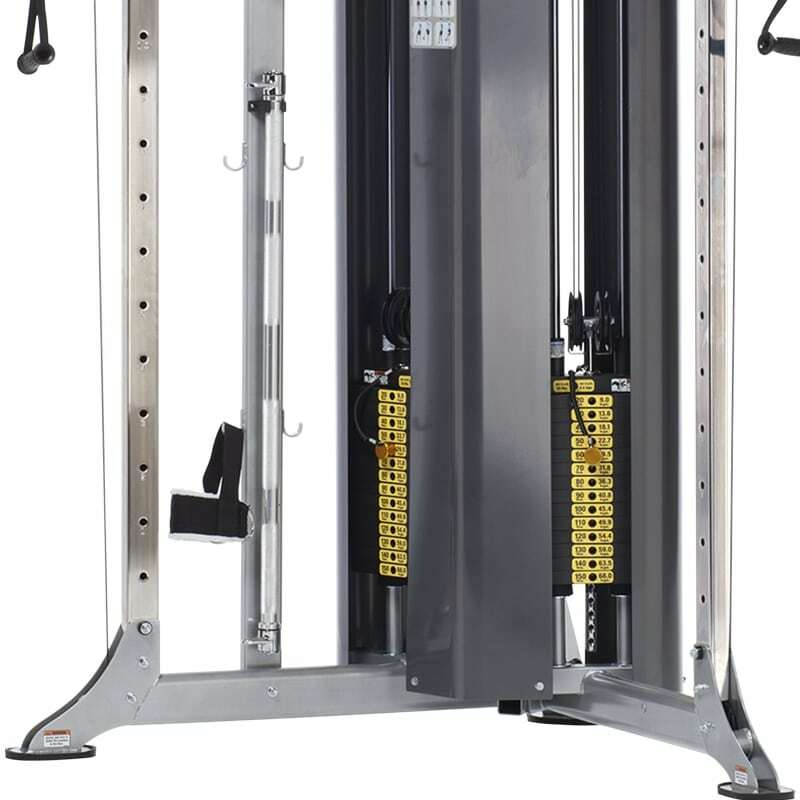 16-position dual adjustable high/low pulleys cable station. 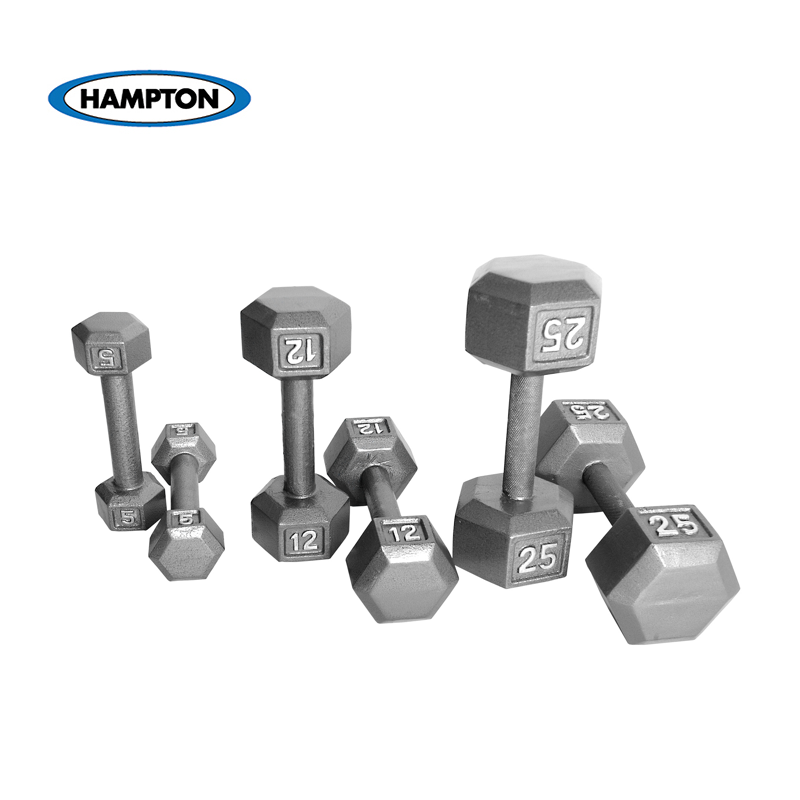 Unique dual resistance ratio at the handle provides single cable hook-up at 1/4 resistance, or dual cable hook-up at 1/2 resistance. 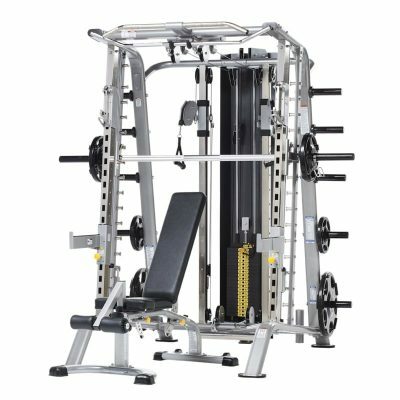 Welded knurled nickel plated fixed multi-grip pull-up bar station for wide, narrow, reverse and neutral grip upper body exercises. 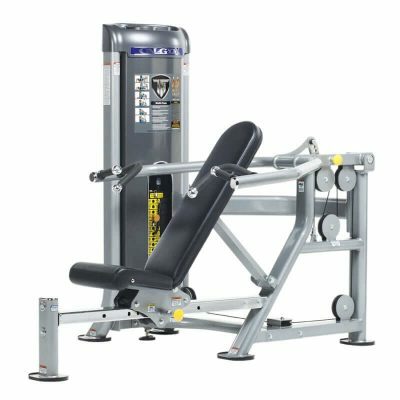 CDP-300’s open frame design supports use of benches, stability balls, balance boards, Bosu trainers and ground based exercises. Full length steel protective steel weight stack enclosures. 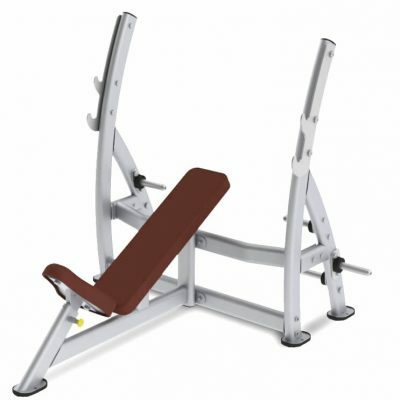 Includes two nylon handles, accessories storage rack for squat bar, low row bar and ankle strap. 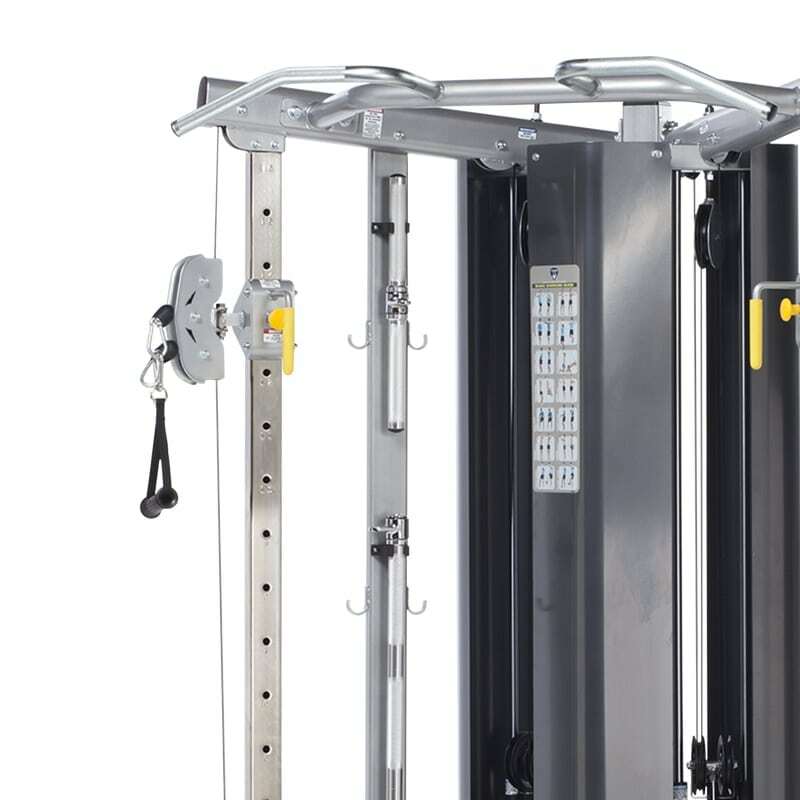 TuffStuff’s light commercial strength equipment is built to the same exacting standards as their full commercial-grade products. With 11-gauge tubular steel, inert-gas MIG welded construction, and certified USA-made cables. 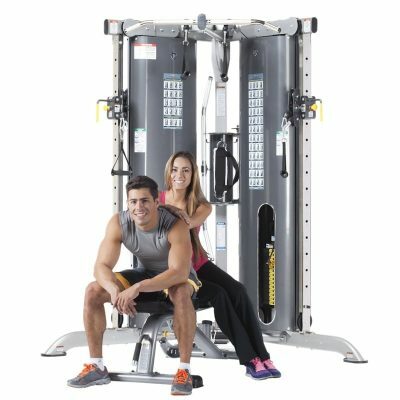 Whether you are looking for a complete multi-gym, or you just need a single equipment station that will stand the test of time, with TuffStuff you will receive unmatched product quality and exceptional support.